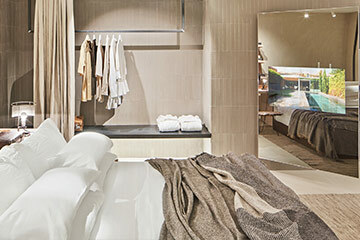 The expansion carried out in the Hotel Market of Barcelona introduces Oculting mirror technology with integrated television in the new rooms of the hotel, contributing to reinforce its qualifying establishment with charm and to enhance the experience of the guest during their stay. 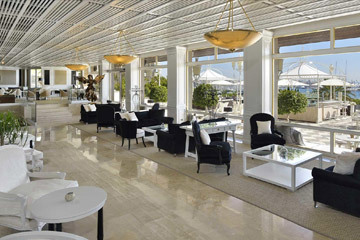 The interior renovation of Meliá Victoria incorporates Oculting technology in order to transmit information and content to the guests of this iconic five-star Balearic hotel. 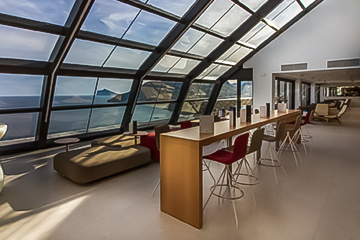 Oculting technology reaches the highest level by integrating the screens into the Sky Lounge Bar on the 30th floor of the Suitopia Hotel, the new offer for tourist and family accommodation of the Sol y Mar Group in Calpe, with spaces designed by the studio of Xavier Pastor. 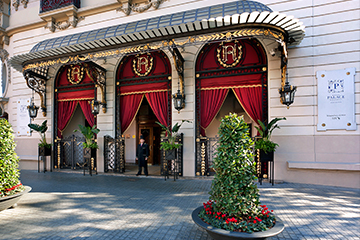 Oculting helps preserve the classic elegant aesthetic that characterizes the El Palace Hotel, a five-star luxury hotel, preventing the screen technology of the rooms from altering the identity that conveys the unique characteristics of its interior style. The aesthetic imposition of the television disappears with the technology of Oculting, blending in perfectly with its environment and putting value into the experience of the user. 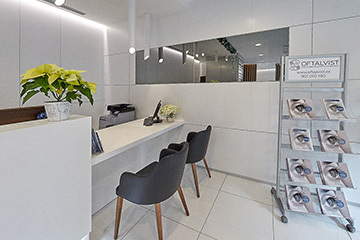 Oculting is collaborating with the avant-garde image of Oftalvist, the new ophthalmological center located in the Golden Mile of Madrid, with the aim of creating a better visual experience for its patients, starting with the environment itself. 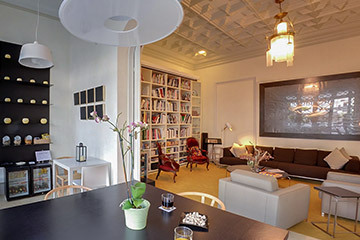 Oculting’s screen integration technology contributes to the conservation of the classical spirit with touches of avant-garde that the owner of the singular Boutique Hotel Ca la Maria wants to transmit to its guests. 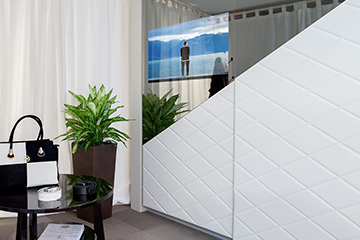 Oculting joins the W Paris Opera Hotel project, incorporating its solution of self-supporting mirror televisions into the suites of this unique Parisian establishment. 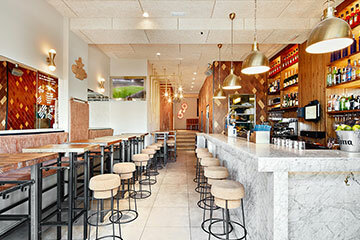 The tradition of the emblematic Barcelona neighborhood, La Barceloneta, joins up with modernity in the interior design of the gastrobar Amarre 69, where Oculting technology helps to extol the harmony.